Focusing on the enemy’s weaknesses. The Eagles are five-point underdogs heading into their Super Bowl LII matchup against the New England Patriots. The nation is picking against Philadelphia once again. If you’re among the doubters, today’s post might change your mind. Bleeding Green Nation already took some time to chat with Pats Pulpit in order to preview this week’s matchup. You can read that here. Today, we’re back with three reasons why each team might lose. This format forces us to consider each team’s weaknesses, rather than just being homers. So here are three reasons why the Patriots could lose, as written by Pats Pulpit’s Rich Hill. 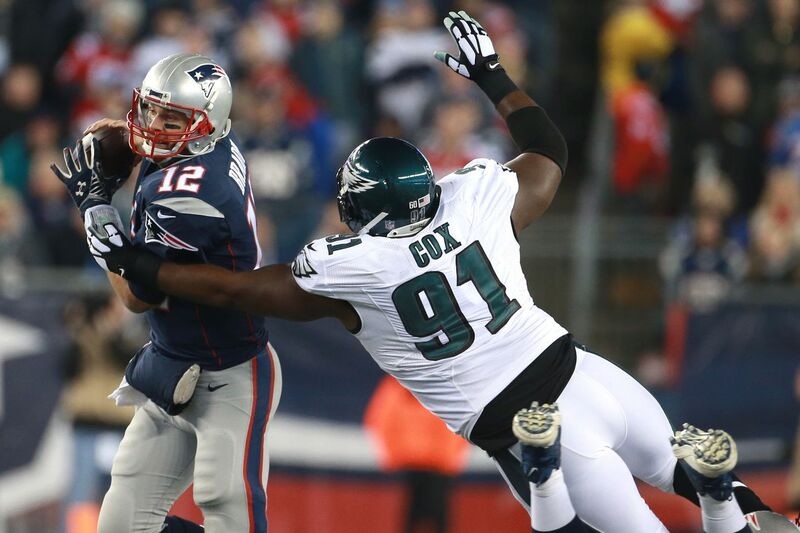 Check out Pats Pulpit to see why I think the Eagles could lose. Only two teams have been able to force the Patriots offense into a negative day at the office- week 5 against the Buccaneers and week 14 against the Dolphins- and both were games where Rob Gronkowski was not available to play. There next two “worst days” on offense also included a limited Gronkowski- week 1 against the Chiefs in Gronkowski’s first game back from surgery and week 17 against the Jets when they bubble-wrapped him for the playoffs. But they can limit the Patriots offense to a “simply okay” day and there is one game to emulate: week 8 by the Chargers. In week 8, the Chargers ferocious pass rushing duo of Melvin Ingram and Joey Bosa hassled Brady on 46% of his dropbacks and regularly disrupted the offense, holding them to 19 points (New England added a safety to get to 21). The offense settled for field goals, including six attempts inside the 25-yard line. If the Eagles can disrupt Brady on 40% or more of his dropbacks and then tighten up in the red zone, then they’ll have a real chance to win the game. New England will counter the pass rush by throwing quick passes to running backs in the flat- Dion Lewis, Rex Burkhead, and James White combined for 14 catches and 163 yards against the Chargers- but the Eagles rank 9th in allowing receiving yards to running backs. The combination of the Philadelphia pass rush and their ability to cover the running backs will be key on Sunday. Unlike the Patriots offense, which didn’t have a bad day with an active Gronkowski, the New England defense only had three shut-down games all year. Sure, they limited 12 of their past 14 opponents to 20 or fewer points, but a lot of teams have been able to move the ball down the field. They just haven’t been able to convert those drives into points. The Patriots challenge opposing teams to lead 10+ play drives to get into scoring position because they play the odds and understand that few teams are willing to take and convert the easy play snap after snap, and even if this means they allow a few third down conversions, they’ll still be able to force a punt around midfield. This is a problem against Doug Pederson because there’s one coach that’s always been willing to take advantage of what New England offers on defense: Andy Reid. Alex Smith and the Chiefs loved dinking and dunking their way down the field and leading long, time-consuming drives to keep the ball away from Tom Brady. If the last two games mean anything, Nick Foles will be able to complete a lot of passes within the Eagles offense to move the chains. And New England can’t allow Philadelphia to make long drives because the Eagles lead the NFL in red zone scoring rate. This just seems to be the perfect recipe for the Eagles to control the clock and win a low-scoring game. The Eagles rely on the RPO more than any other team in the NFL and the Patriots linebackers have been really bad at defending it. The linebackers are aggressive and they’ll bite on their run keys, which means that Nick Foles will have his pop passes available a lot of the time. There’s no question that Bill Belichick and company will have worked on defending the RPO in practice over the past two weeks, but this play could be the key on Sunday. If the Patriots linebackers are exploited like they were against the Jacksonville Jaguars, then the Eagles will be able to pick up chunk yards, move the chains, and dictate the pace of the game.